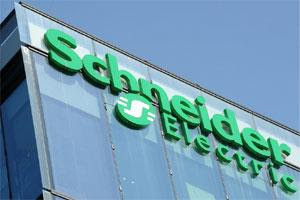 Schneider Electric, the global automation specialist and a leader in energy efficiency, is set to increase its industrial automation footprint in India. Catering to increased demand across various sectors, the company expects to launch as many as 365 products and solutions this year, many of them focusing on increasing the value they provide to their process automation customers. Schneider Electric emerged as a major player in the global process automation market in 2014 following its acquisition of Invensys Plc. It is now eyeing an even bigger market presence in India. Increasing its portfolio of products, solutions and services here will further enable it to address growing regional and country-wide demand in four key sectors – Power, Oil and Gas, Water and Waste Water (WWW) and Mining, Metals and Minerals (MMM). Schneider Electric expects to grow its position in the Indian Automation market in the wake of strong demand due to various Government initiatives such as ‘Make in India’ and Smart City Mission which have Automation at their very core. Also, the company feels that Automation would be the key for India to become a global manufacturing hub as it would need innovation as well as consistency in quality and efficiency while keeping price competitive to compete globally. Schneider Innovation at Every Level harnesses the power and promise of its Internet of Things-powered Ecostruxure architecture to reshape cities, transform industries and enrich lives through connected products, edge control, apps, analytics and services. Kishore said, “Automation will be a high growth area in India. Despite the fact that Manufacturing contributes about 17% to India's GDP, there is still significant untapped potential when compared to global benchmarks. The manufacturing industry is undergoing tremendous change due to Urbanization, Industrialization and Digitization megatrends.. To add to this, even as energy demands are set to double in the next 40 years, CO2 emissions will have to be reduced by half to avoid irreversible damage to our planet. So we have to become three times more efficient. Automation will drive this efficiency improvement”. Kishore further noted that as the world becomes more connected, more distributed and more efficient, with the number of connected devices expected to double in the next five years, it will spur demand for innovative technologies under the umbrella of Automation. “As a global, innovative, technology company, we are in a strong position to provide the integrated Industrial Automation, Software and energy management that will drive this change”, Kishore said.